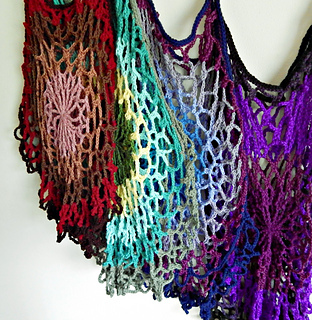 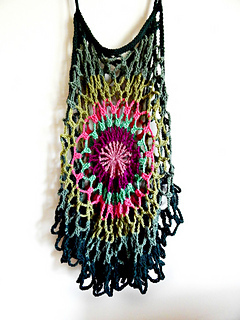 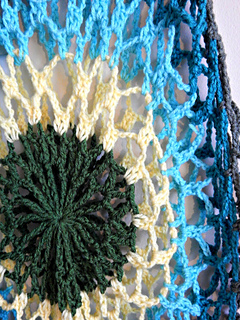 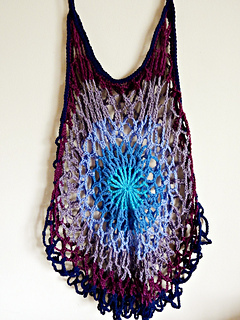 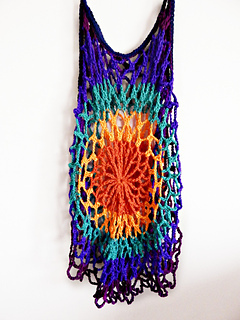 Whether you’re a beginner who is ready to move on from hats and scarves or a master of the hook who just needs some color therapy, this introductory level intermediate project is as relaxing to make as it is to wear. 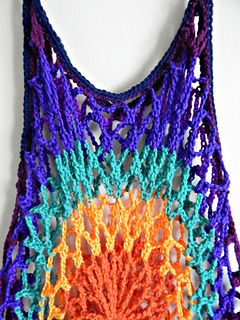 The design features quick, simple shaping techniques and easy stitches explained in charts and photos as well as written instructions. 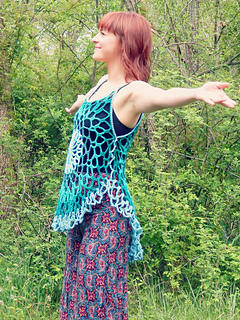 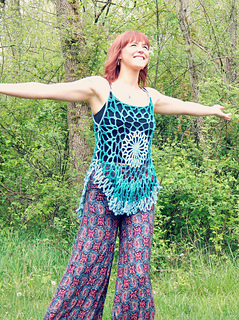 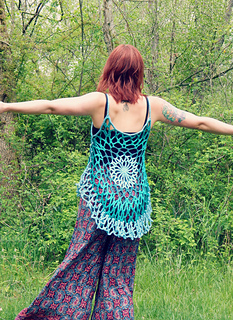 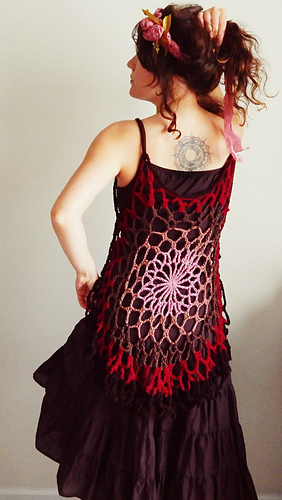 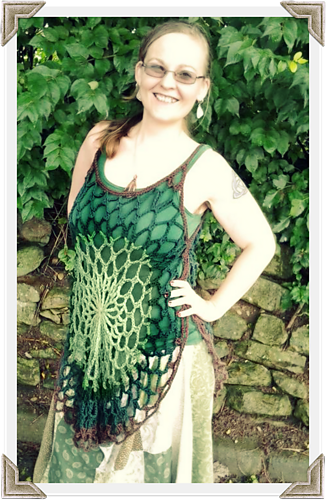 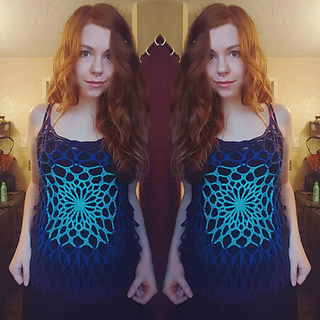 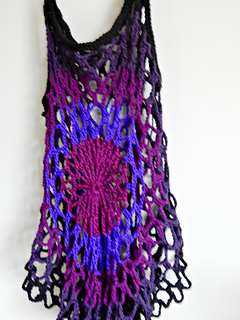 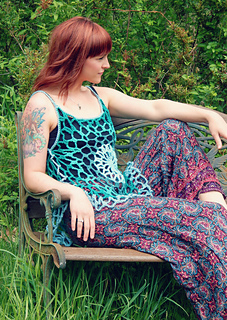 Worked up in worsted weight solids, the Mandala Top is impressive without the extra cost! 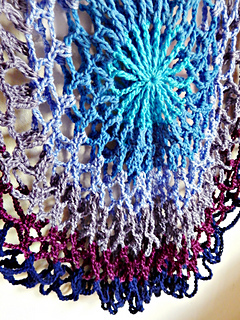 This pattern is written and designed by me, Morale Fiber, and includes crochet charts and photo tutorials as well as a stitch dictionary (including instructions) for the less common stitches used in the pattern. 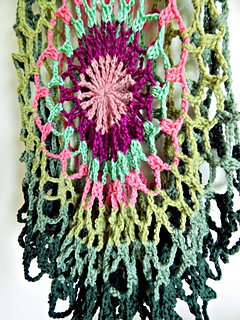 I have made every effort to comprehensively explain the pattern so crocheters of any level or any learning style can use this pattern! 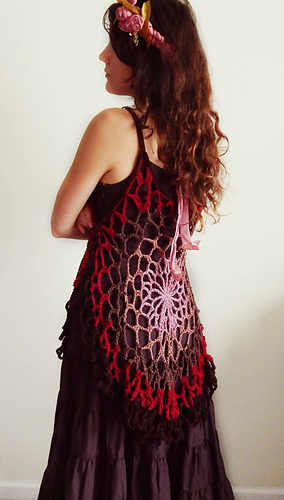 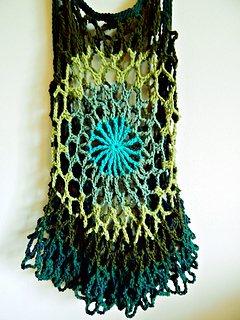 For questions or pattern support, please see the links given at the bottom of the pattern.